The fallen tree on Whinhill Road, Aberdeen this morning. Picture by Heather Fowlie. 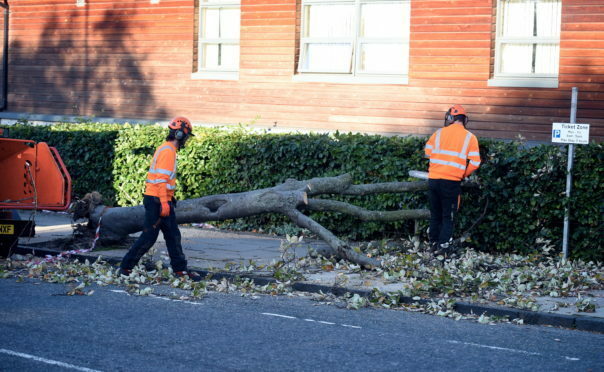 A tree is obstructing a pavement in Aberdeen after falling during Storm Ali. High winds caused the tree outside Whinhill Medical Practice on Whinhill Road to fall at around 5.20pm yesterday. The amber weather warning issued by the Met Office has now expired but stormy conditions are expected to continue for the rest of the week.